Caring for a car is important if you want it to remain in like-new condition. However, there are many car maintenance myths out there that cause well-meaning drivers to make mistakes when caring for a car. MYTH: Premium gasoline will improve performance. High-performance engines have higher compression and run at higher temperatures, which is why they need higher-octane fuel to prevent the gas from igniting too early. If your car doesn’t have one of these high-compression engines, though, premium fuel isn’t necessary and won’t improve performance. MYTH: A tire’s sidewall lists the recommended air pressure. Tires are stamped with the maximum allowable pressure, or the pressure you shouldn’t exceed. The ideal pressure will almost always be less than that. You should inflate your tires to the pressure recommended in your car’s owner manual or listed on the inside of the driver’s side door jamb. MYTH: Sit and idle to let the engine warm up. This just wastes fuel. The engine will warm up faster if you start driving. 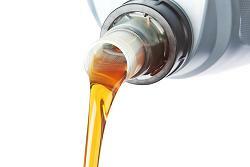 MYTH: Engine oil should be changed every three months or 3,000 miles. This is a common motor oil myth. Most modern cars have recommended oil change intervals that are much longer than that. MYTH: You must go to the dealer for regular maintenance or risk voiding the warranty. Though improperly caring for your car can void the warranty, having proper maintenance performed away from the dealership is fine as long as you keep good records. MYTH: Low brake fluid indicates a leak. It might, but it often just indicates you need new brake pads. As the pads get thinner, the brake cylinders have to extend farther to provide contact, meaning that more fluid will be in the cylinders and less in the fluid reservoir. MYTH: Dish soap works for cleaning your car. When hand-washing your car, don’t use dishwashing liquid. Such grease-cutting soaps also cut through wax, and often leave a lotion residue designed to be easy on your skin. If you have any questions about caring for a car, or are searching for a newer and well-cared-for lease vehicle, please contact us at Swapalease.com. This entry was posted in Car Maintenance & Repair and tagged car maintenance, car maintenance myths, changing the oil, low brake fluid, tire pressure, warranties by admin. Bookmark the permalink.